All the blogs have to be active and posting regularly. All the blogs have to be relevant according to a corpus of highly targeted keywords and key phrases that tightly define each particular subject matter (see below). The keywords and phrases were derived using an iterative machine learning process that analysed the words and phrases most used by a seed list of the top blogs in this field. The resulting corpus is a proxy for a linguistic fingerprint of the PR industry. We used Inkybee discovery and search technology to find large lists of the thousands of blogs using words in this corpus. This methodology for deriving the relevant corpus could be applied to any subject matter. 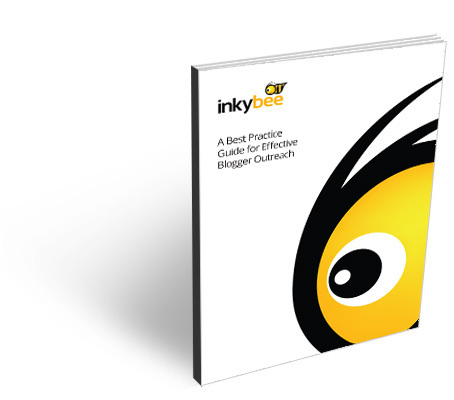 In due course it is something we intend to implement into the Inkybee search processes to make them more intelligent. Visibility is a measure of how visible a blog is on the Internet in relation to all other blogs. Visibility equates to audience, connectedness and authority metrics. For example, Mashable and Huffington Post are highly visible and therefore would have the highest visibility scores. It is measured on a logarithmic scale from 1 to 100. This means that, in absolute terms, to increase from a score from 80 to 90 is over 1,000 times harder than to increase from 30 to 40. Engagement is a measure of the average social sharing, liking and commenting on any story on that blog. Measured on a logarithmic scale from 1 to 100. The relevancy score is a measure of how often the words in the corpus are used across all the posts written by the blog. A relevancy score of 50 means that in general, about half of the blogs’s posts talk about public relations. The rest may talk about social media (for example). The Total Ranking is a blend of these 3 scores above with engagement and visibility ranking higher than relevance on the basis that they are all reasonably relevant. How often each blog posts is also factored into this calculation. We recognise that there is no definitive right answer to “the Top 60″ and we’re not saying that the blogs listed are any better than any others not listed. We’re merely using this as a demonstration of Inkybee technology. All the same, do let us know in the comments if you think we’ve missed anything! We recognise that some forms of engagement may be more valuable than others (e.g. comments versus sharing on Twitter) but we have not accounted for that at this stage. We recognise that the Top 60 may not be the most valuable 60, particularly from an outreach perspective where smaller, more niche “magic middle” blogs may have greater value for blogger outreach.